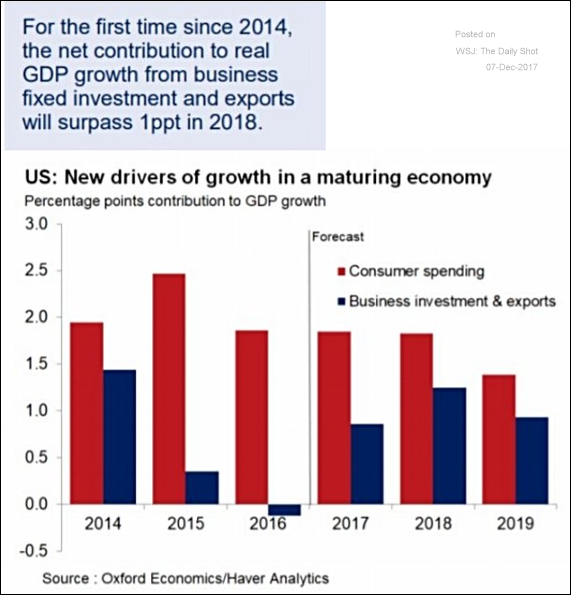 The United States: This forecast shows business investment and net exports contributing more to the GDP over the next couple of years. 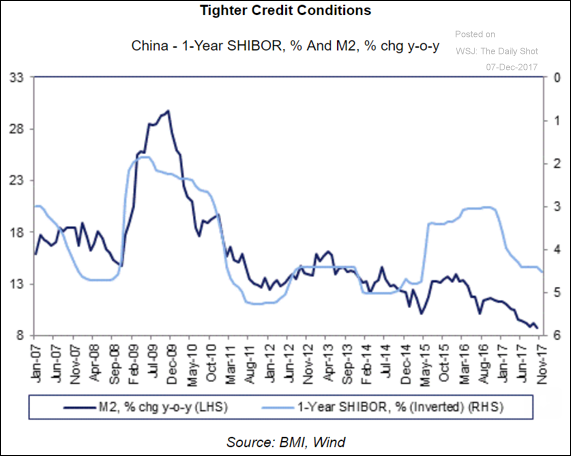 China: Tighter liquidity conditions will be a headwind for the property markets and the economy as a whole. 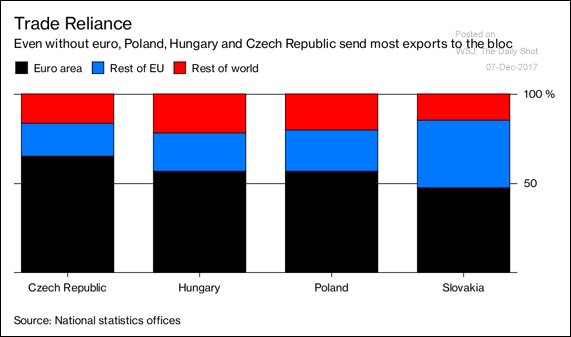 The Eurozone: It’s surprising that there is so much anti-EU sentiment in the Czech Republic, Hungary, and Poland. These nations have prospered because of and are completely dependent on the European Single Market. 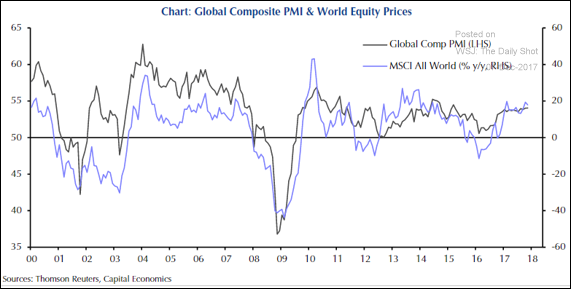 Equity Markets: Business activity (PMI) correlates quite well with global stock market returns. 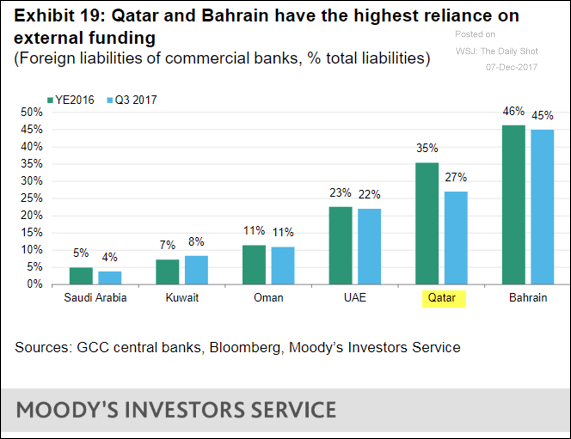 Emerging Markets: Qatar’s banks are trying to reduce dependence on external funding, which remains relatively high. 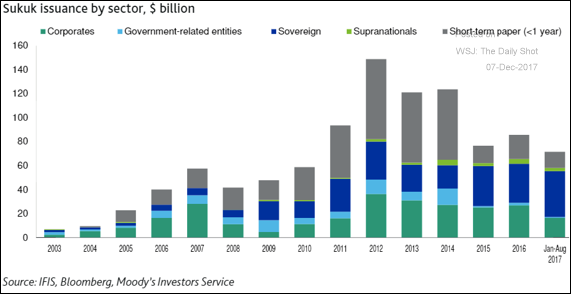 Credit: This chart shows the trend in Islamic bond issuance. 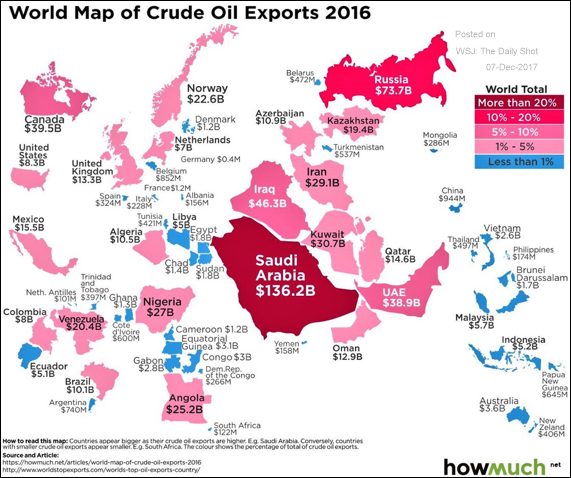 Energy Markets: Here is a map of crude oil exporters in 2016. It will look different this year. 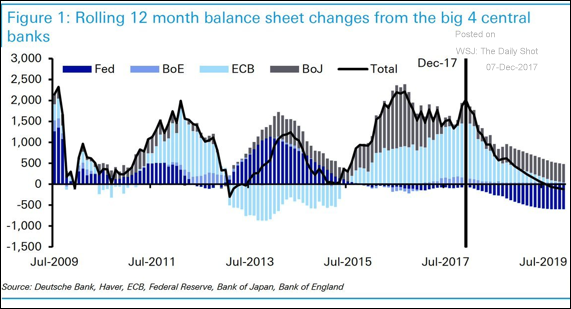 Global Developments: The combined balance sheet of the four major central banks will begin to shrink in mid-2019, according to this forecast. 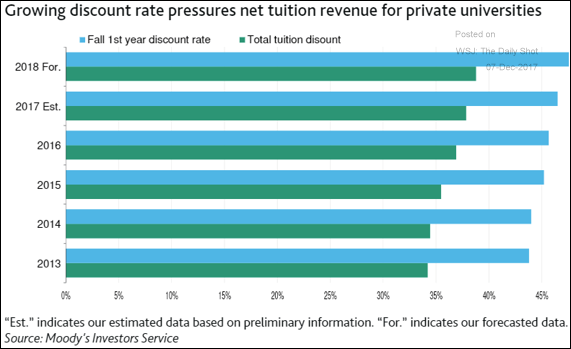 Food for Thought: Private colleges increasingly discount tuition to attract students. We should see consolidation and even defaults in the years to come (especially with small colleges).